TO Social Media Workshops are conducted in Toronto by Marilyn Kay, owner and CEO of Triskele Consulting. This blog provides updates on answers questions about these workshops. It also provides course participants with another blog where they can post about their successes and share ideas about blogging with other businesses. 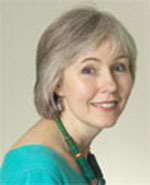 Marilyn Kay, CCP, is the CEO and founder of Triskele Consulting. She is an award-winning corporate communicator, well-versed in all areas of marketing and communications strategies. She is also an accomplished web professional, who has launched and managed corporate internets and intranets since 1998. In 2010 she earned certification as a business and life coach. Her coaching skills enable her to really listen and help you better articulate needs and the measurable outcomes you wish to achieve. Subscribe to the blog for updates on social media workshops offered by Triskele Consulting. If you would like more information about these workshops, contact us.